Funko DC Primal Age toy line gets 100 page comic at Target – AiPT! Comic giant now available exclusively at Target stores. DC Comics is releasing a 100-page one-shot comic book to coincide with the Funko DC Primal toy line. This book can be purchased exclusively at Target and should be found in the endcap of the toy aisle at Target stores. The comic features creators like Marv Wolfman, Louise Simonson, Jerry Ordway, and more. If you ever wanted Superman and Batman wielding swords, using magic, and fighting mystical beasts this is going to be your jam. Read the full press release below for all the details. 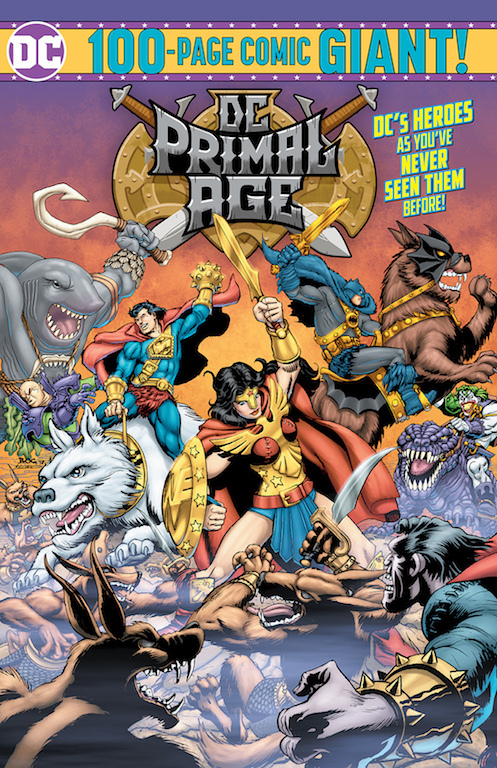 DC PRIMAL AGE–a new comic book based on the popular retro-style Funko action figure line of the same name–is now available for purchase exclusively at Target stores. For more information about the comic and talent lineup, see below.